New PWTorch specialist Joshua Hansen will be reviewing each week's WWE Raw and Smackdown from the perspective of his 24-year-old self vs. his 12-year-old self looking at how WWE's target audience in the PG demo would respond to feuds, matches, and storylines. Joshua will assign a score to each segment and compare which "Joshua" rated each week's show the best. Okay, okay. Both current and younger me were way off on the Royal Rumble. 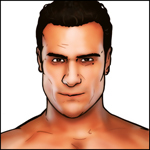 For weeks, I was saying Alberto Del Rio was being set up as the winner on TV only to lose at the Rumble. Lo and behold, I was wrong. How silly of me to expect WWE to not do exactly what it was telling me it would. Here’s hoping the follow-up gets me (any me) on board for WrestleMania. This time 12-Year-Old Josh certainly enjoyed the show more, but the score doesn’t tell the whole story. I thought the show on a whole was better than average and if I was only judging the show as a whole, I may have rated it higher, but I’m treating the show as the sum of its parts and this week had some real duds. The Daniel Bryan story with the Bellas and Gail Kim could lead somewhere good, but this week it was a drag. Combine that with the Dance-Off and there were plenty of lost points. Thankfully, there was some very good action sprinkled in to make the show much better than my self-imposed scoring system indicates. Here's hoping Raw stays solid on the Road to Wrestlemania.